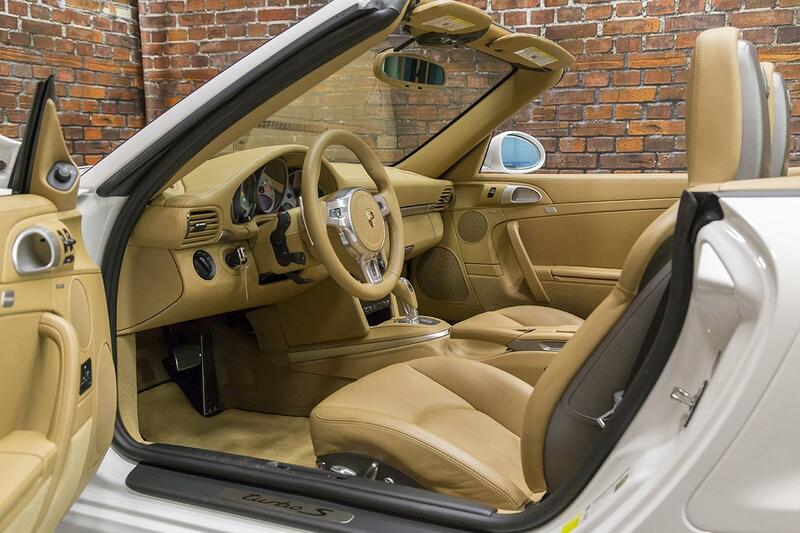 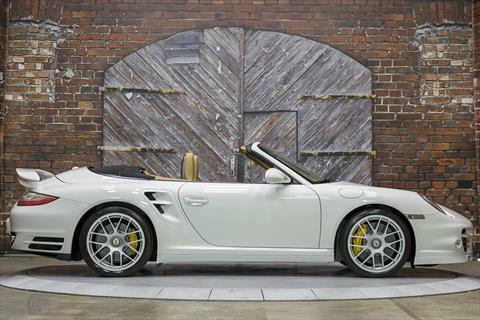 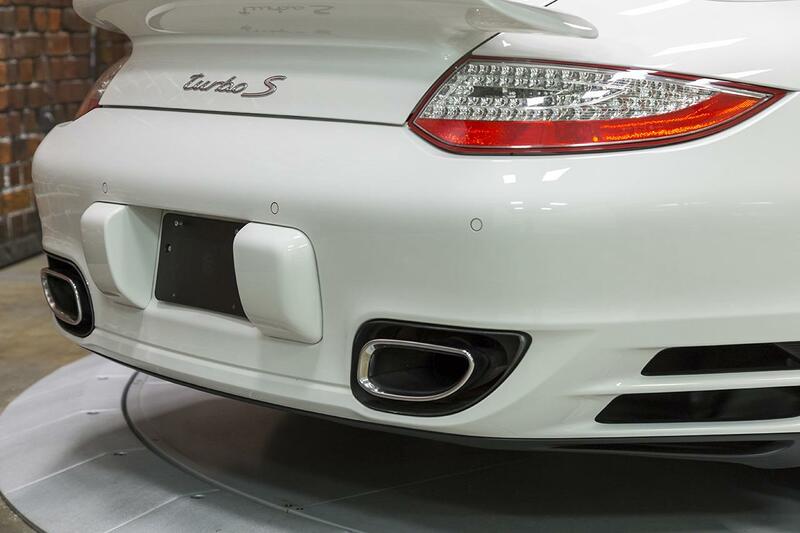 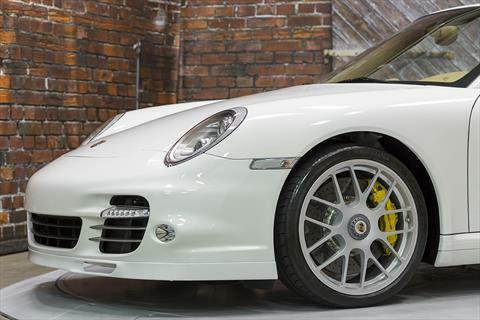 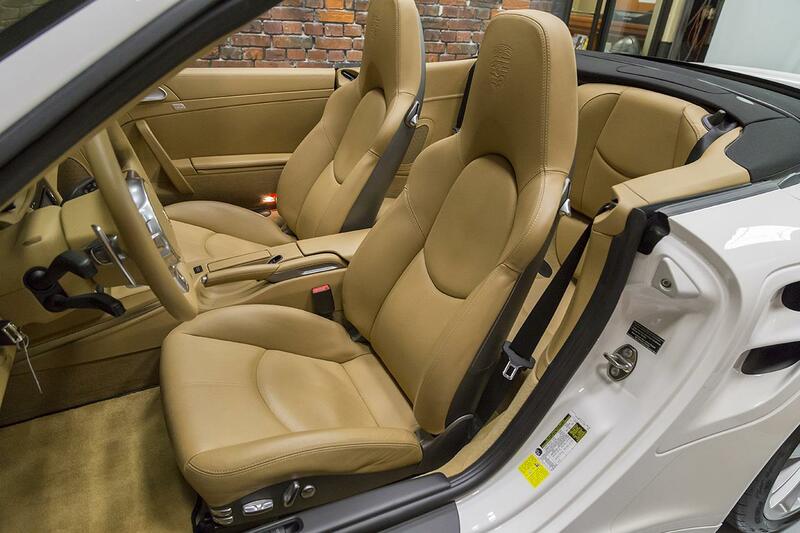 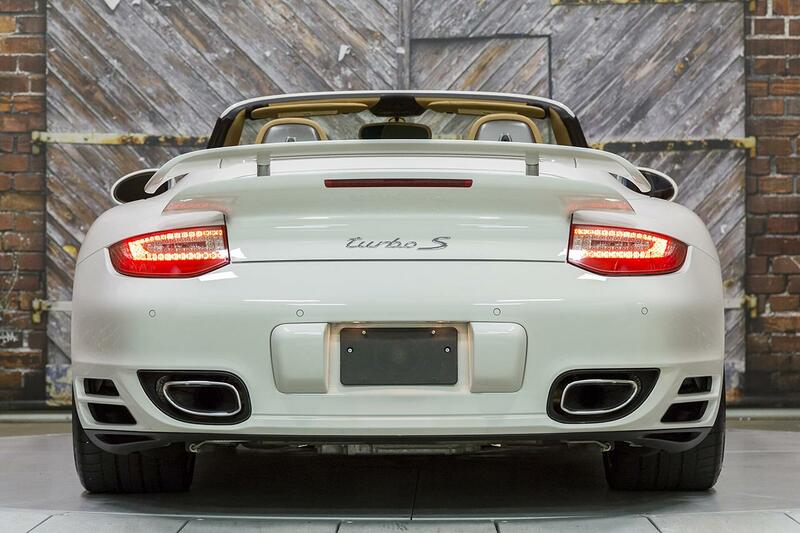 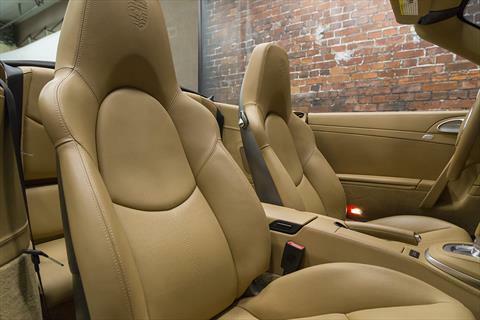 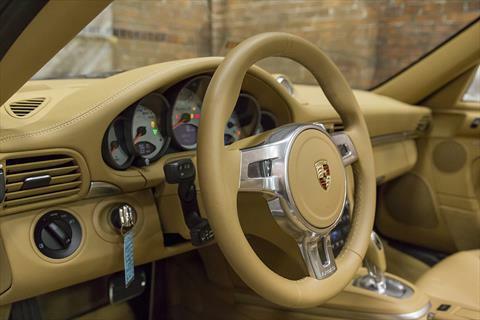 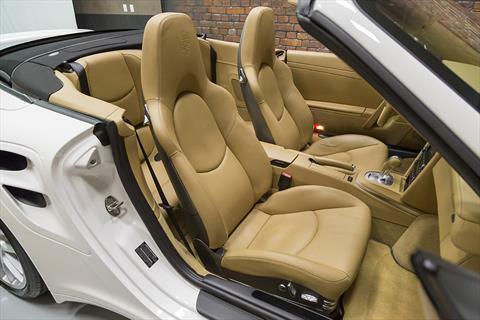 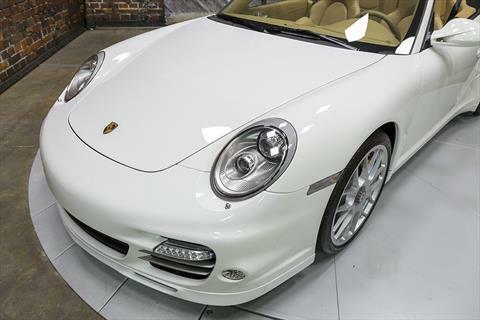 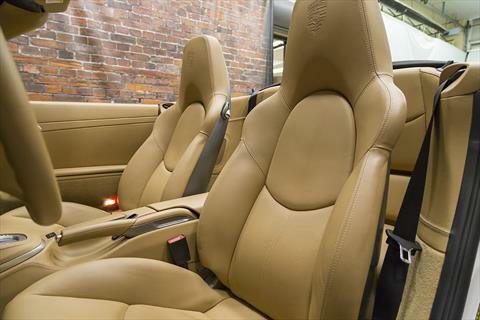 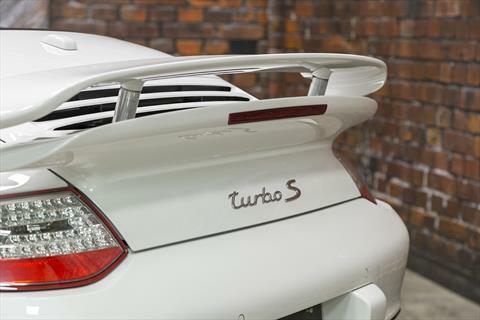 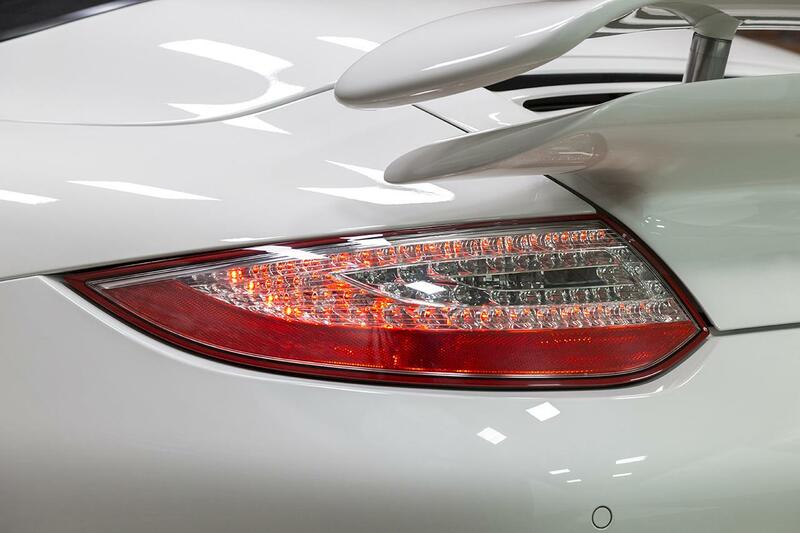 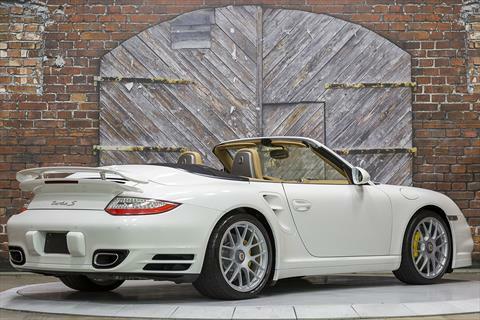 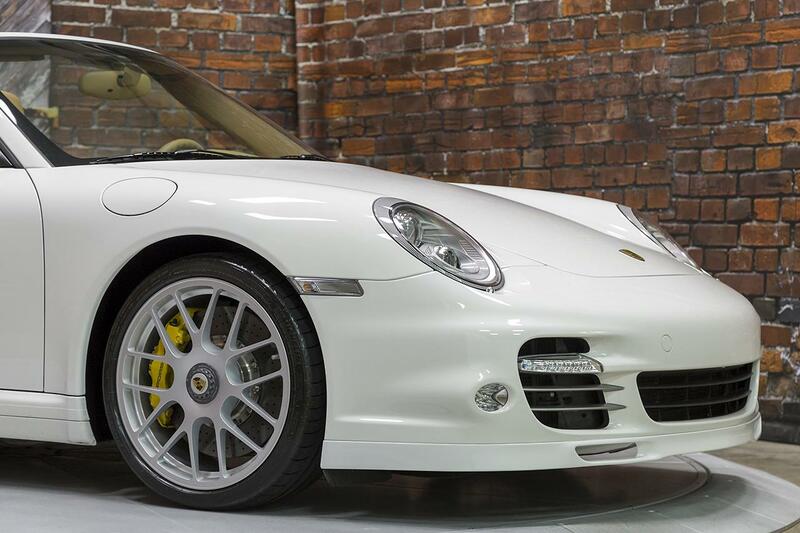 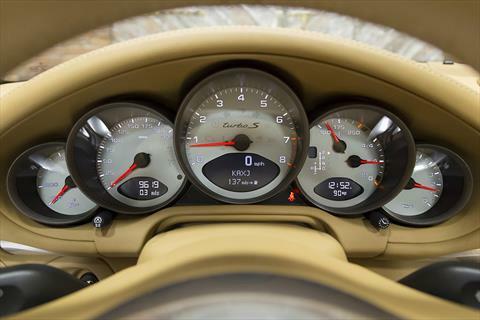 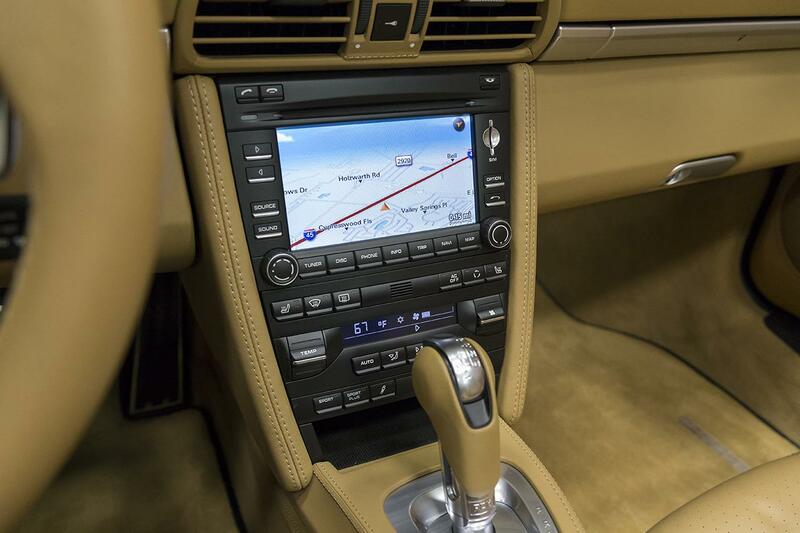 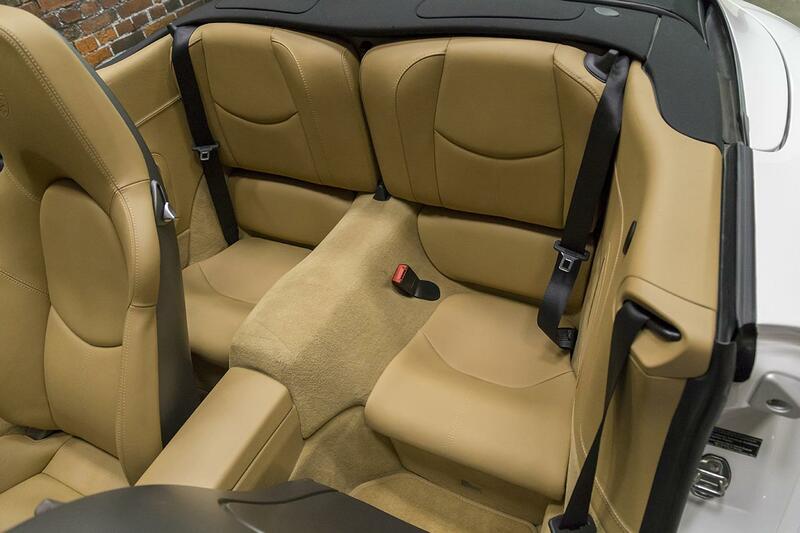 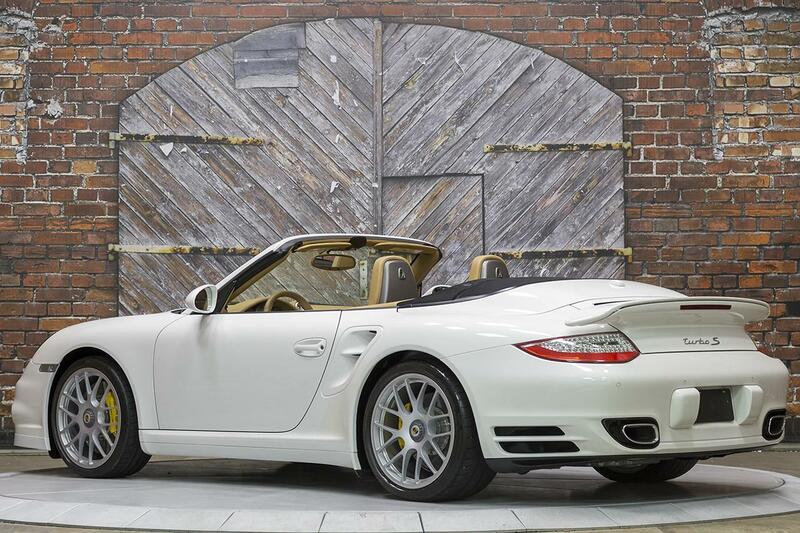 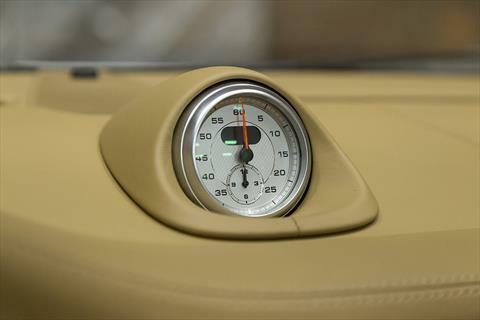 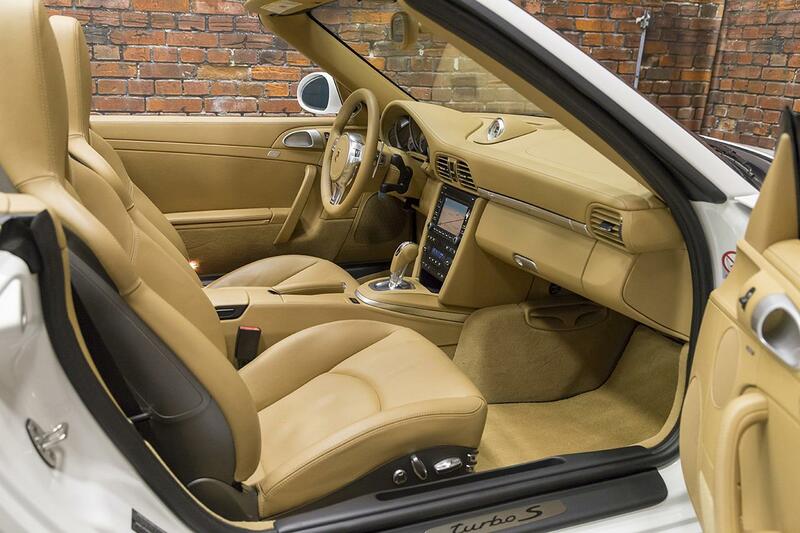 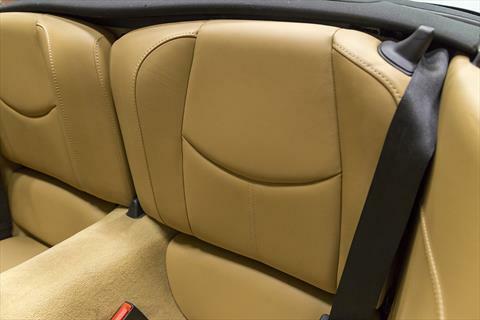 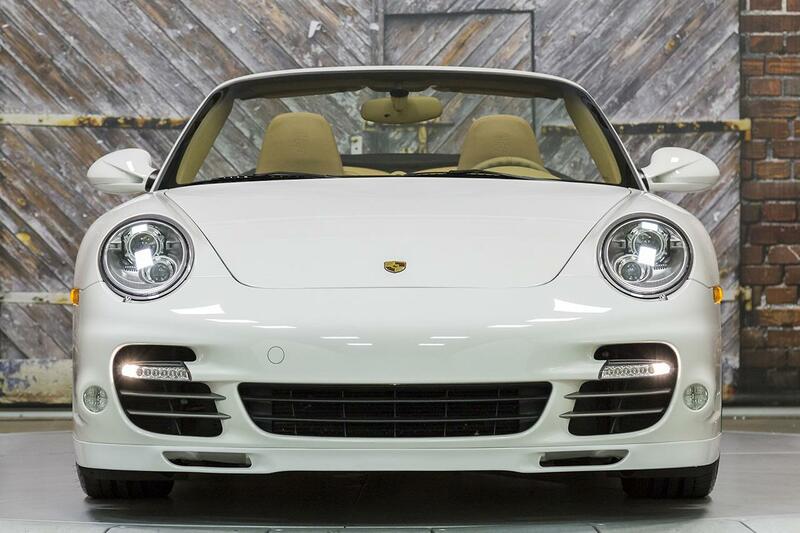 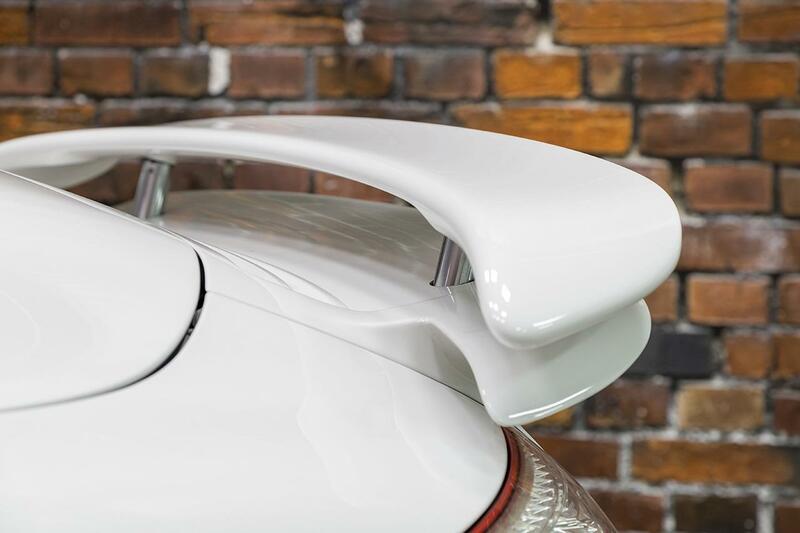 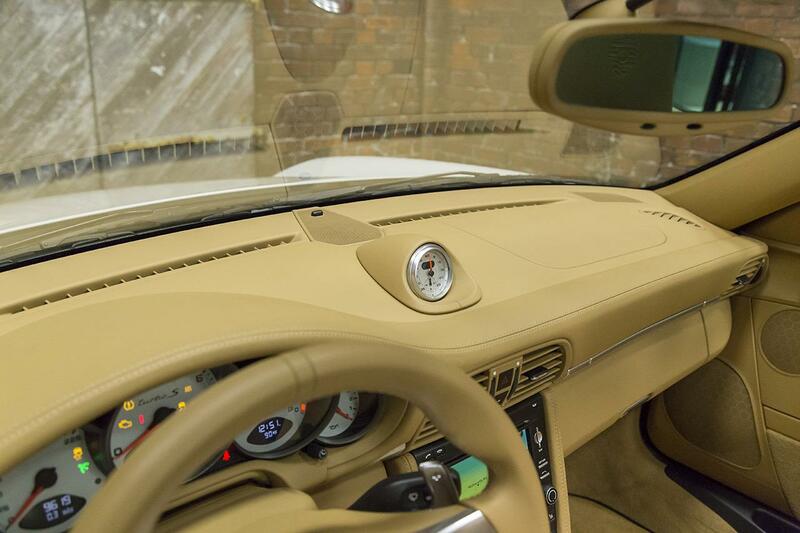 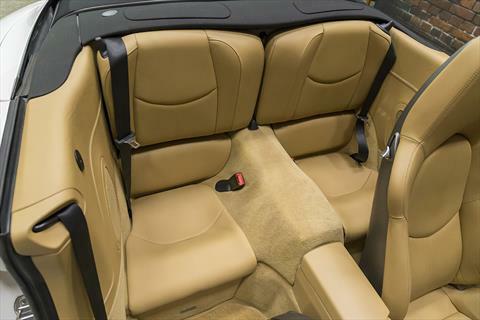 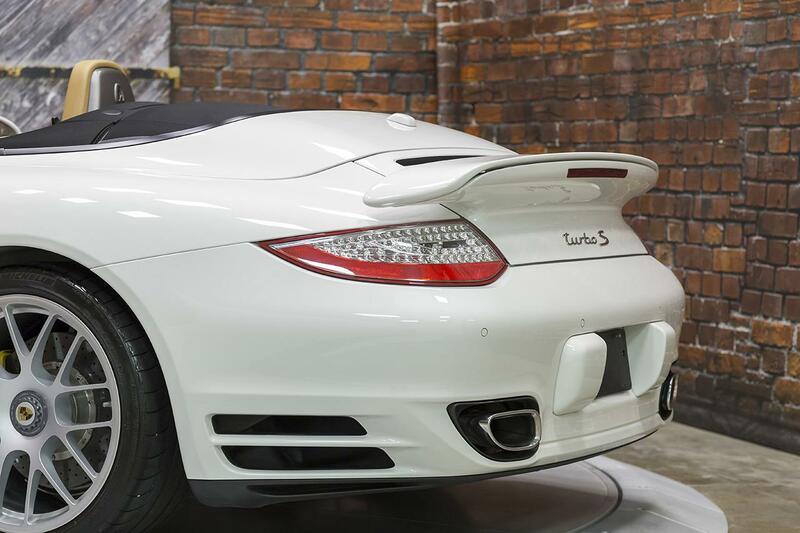 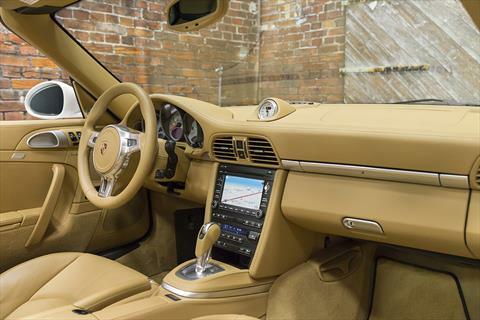 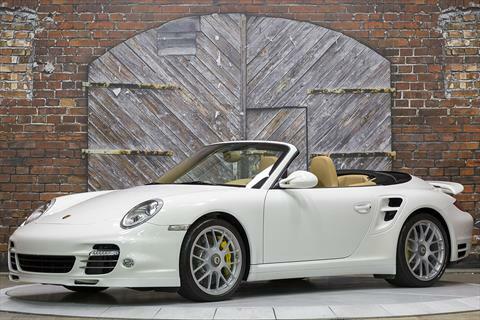 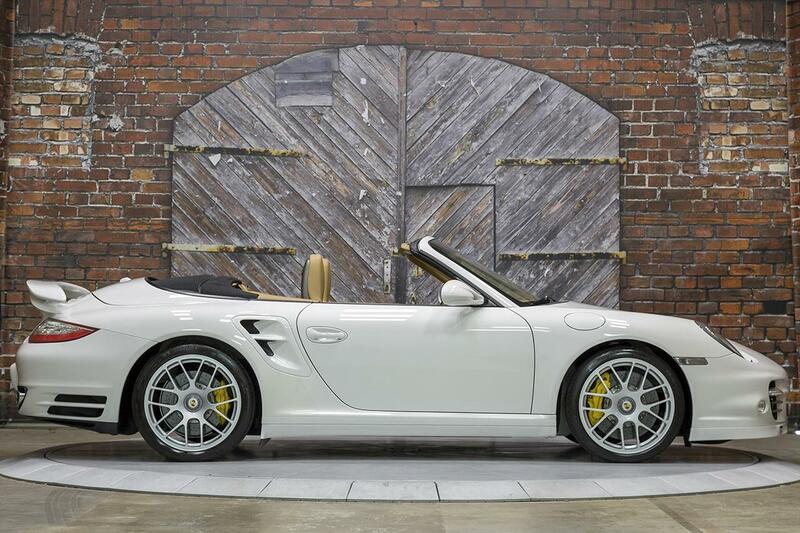 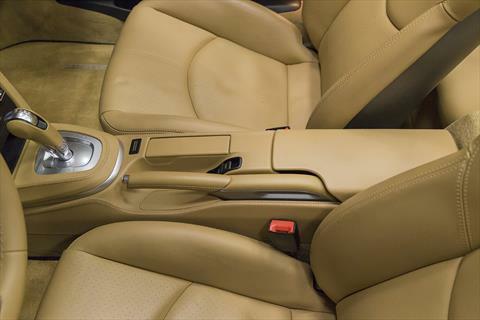 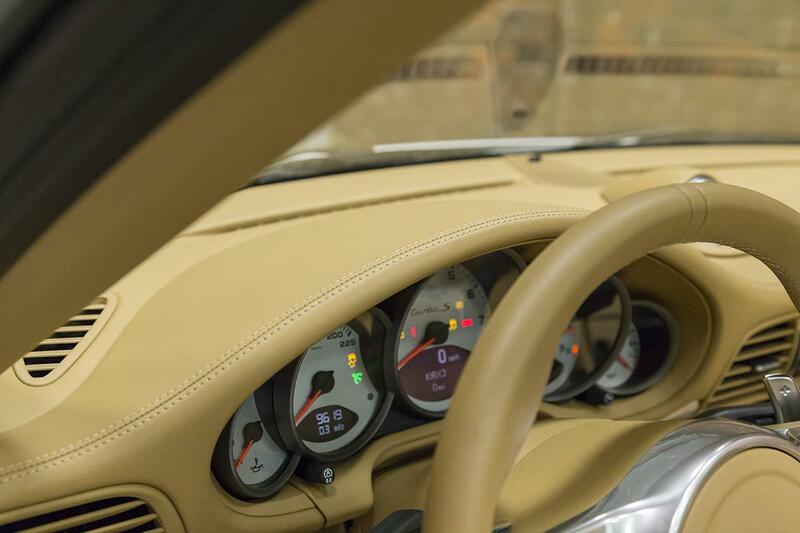 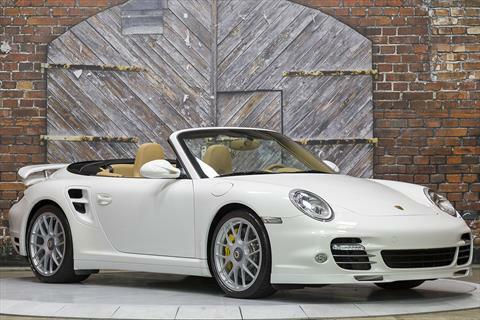 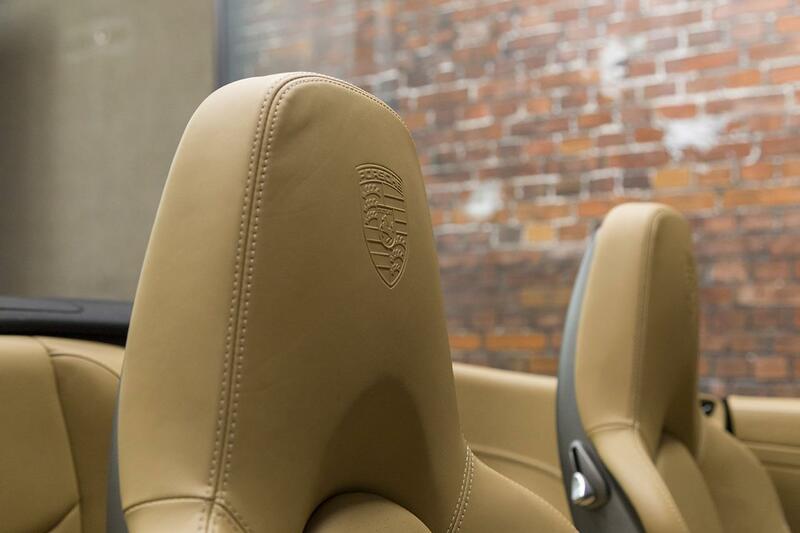 We proudly offer this beautiful 2013 Porsche 911 Turbo S Cabriolet 997 in Carrara White with a Black convertible top over a Sand Beige Full Leather interior with only 9,619 miles. 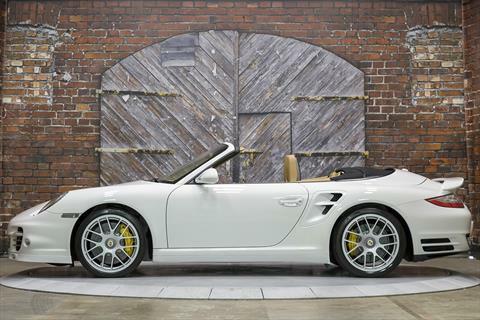 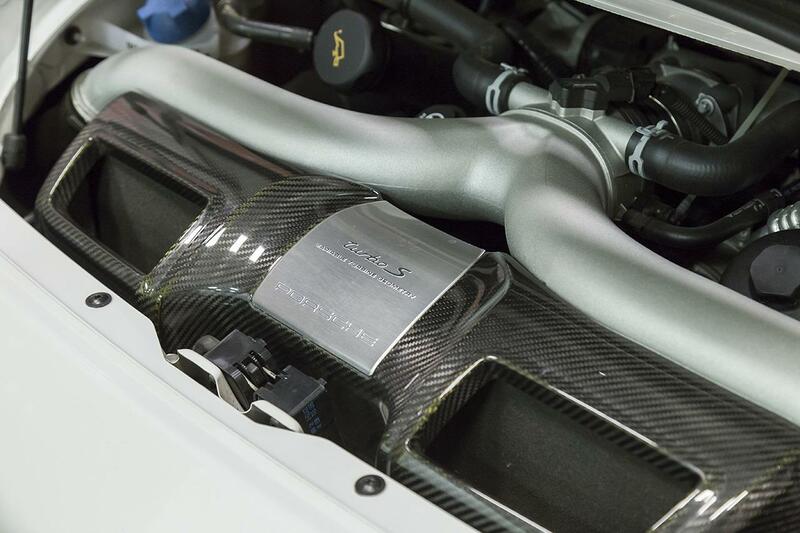 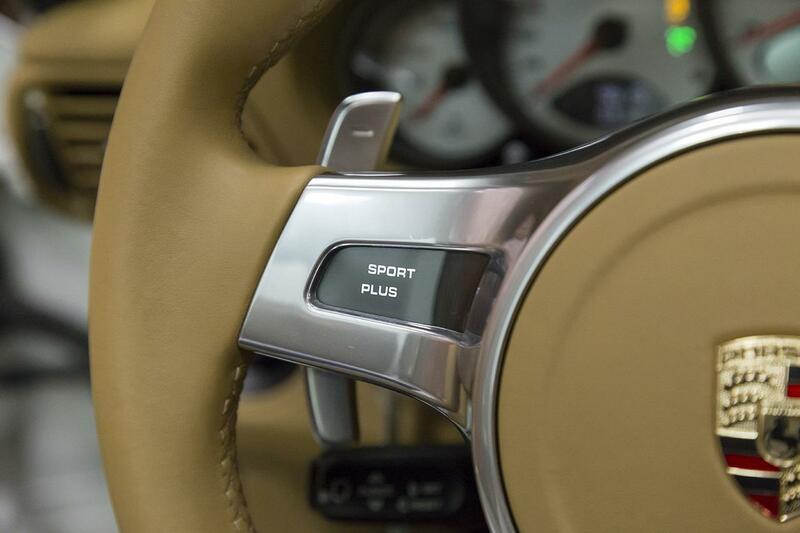 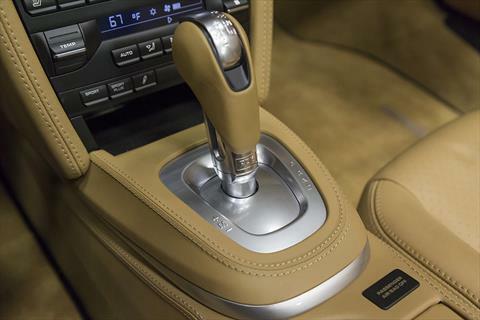 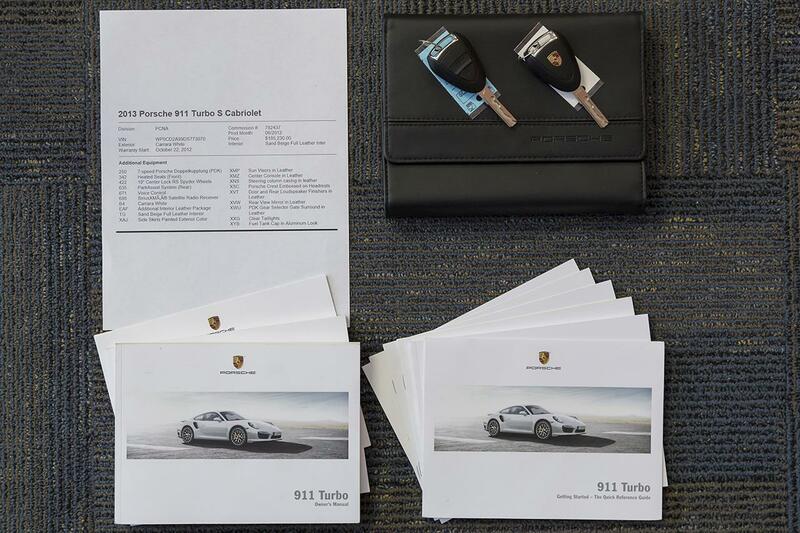 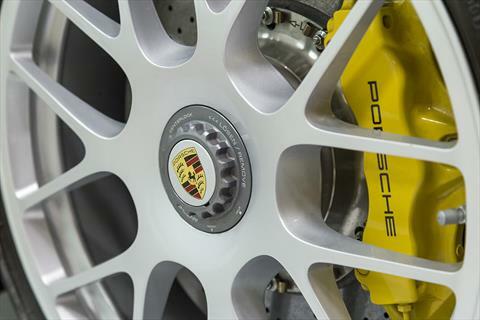 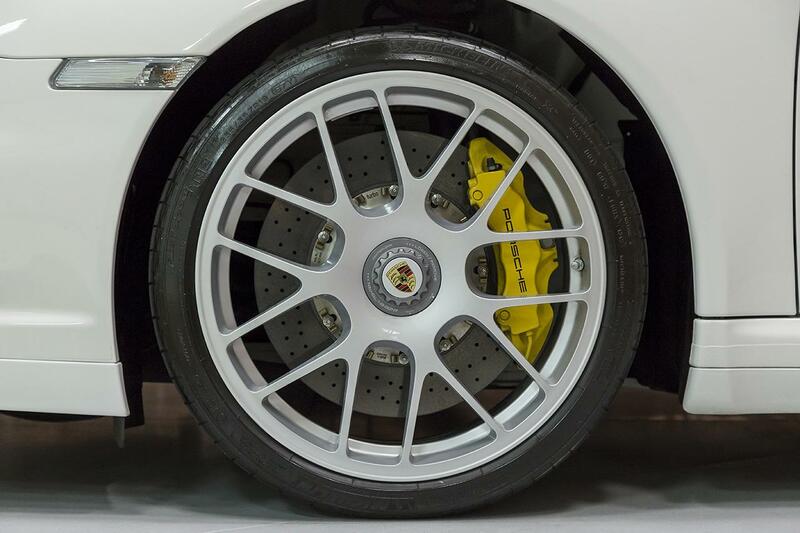 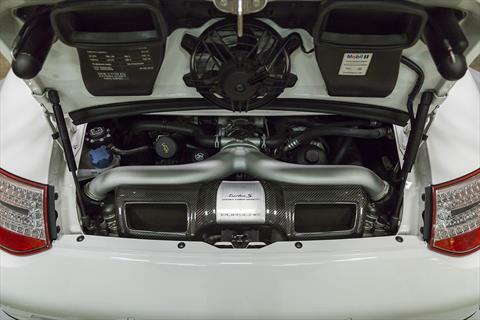 The ’13 911 Turbo S is powered by a 3.8L Twin Turbo Flat 6 engine producing 530 hp and 516 lb-ft of torque through a 7-Speed PDK Dual Clutch Automatic Paddle-Shift Transmission through an All Wheel Drive system. 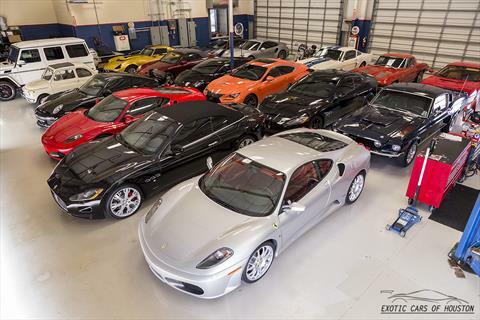 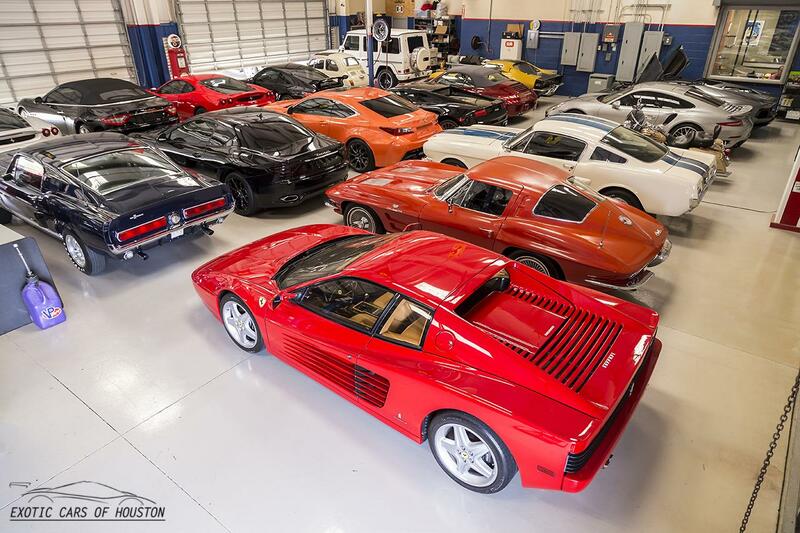 0-60 mph is recorded as low as just 2.6 seconds (as tested by Road & Track) and a top speed of 195 mph. 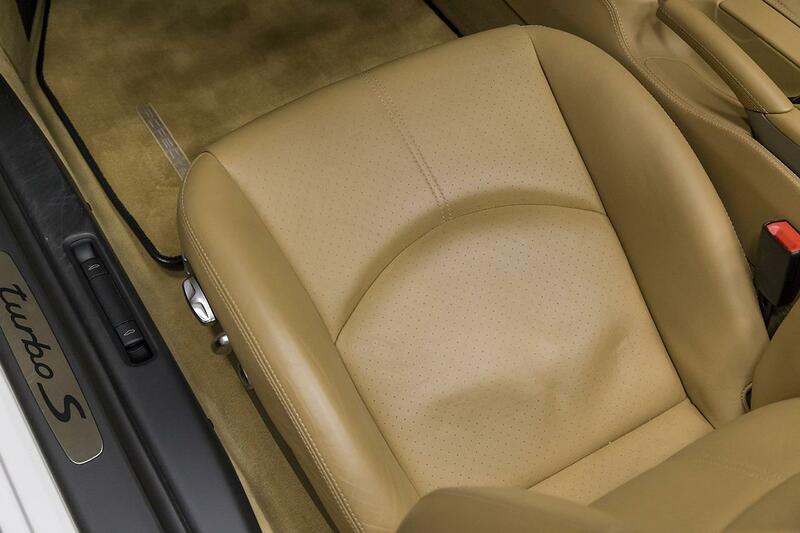 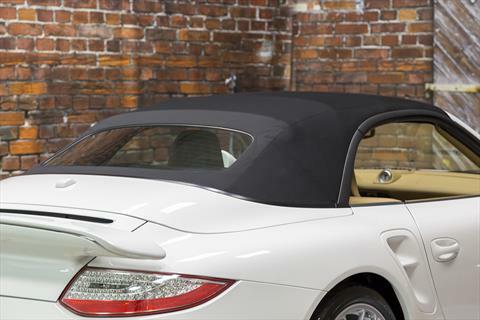 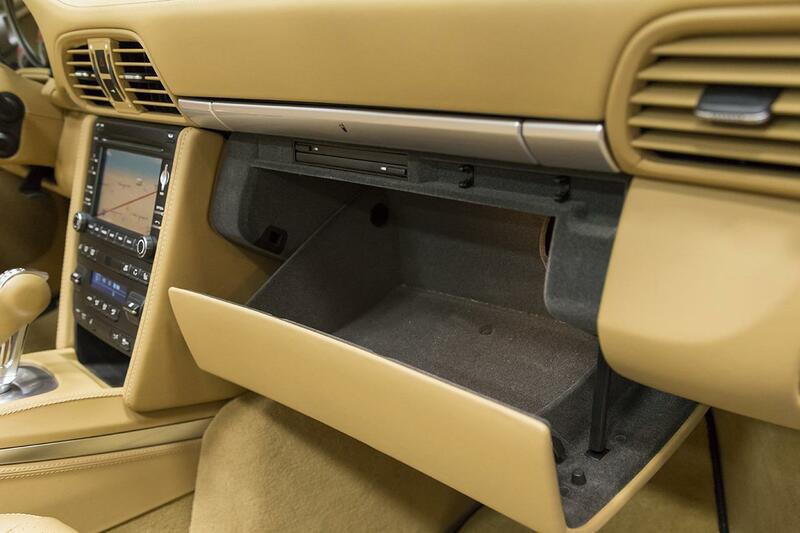 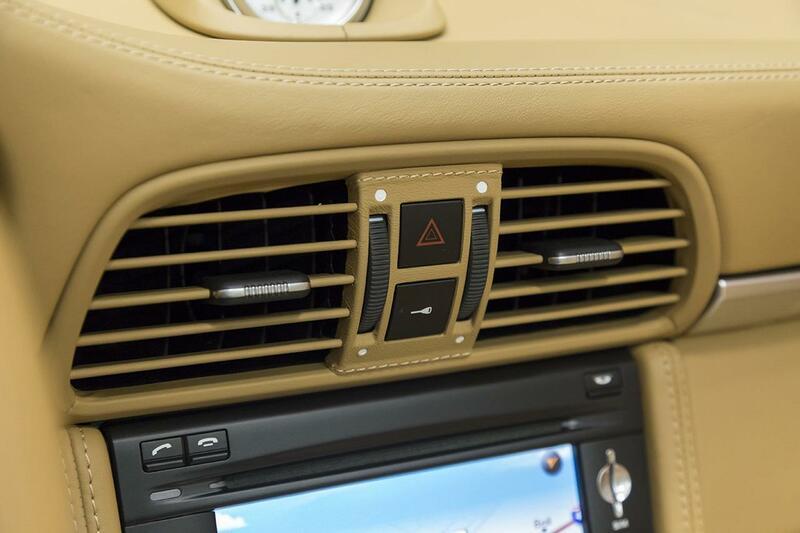 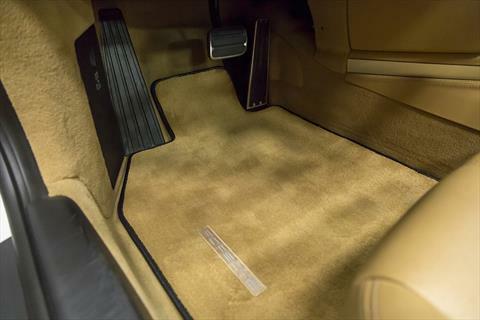 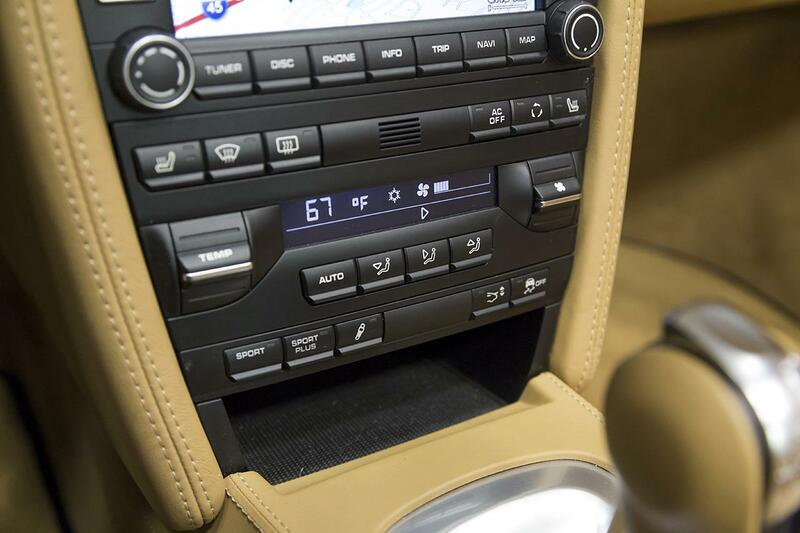 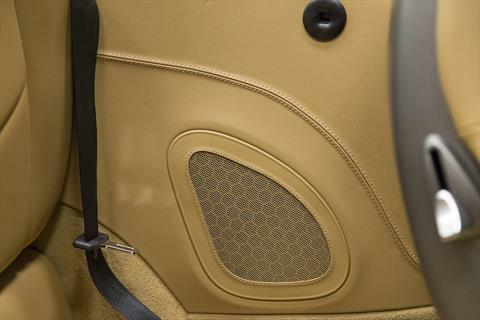 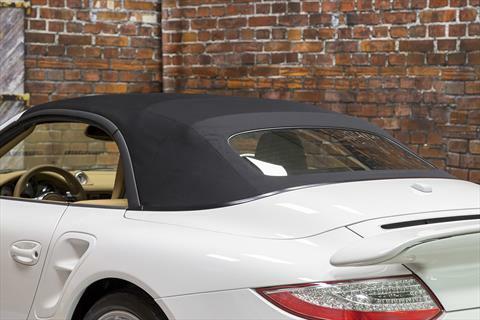 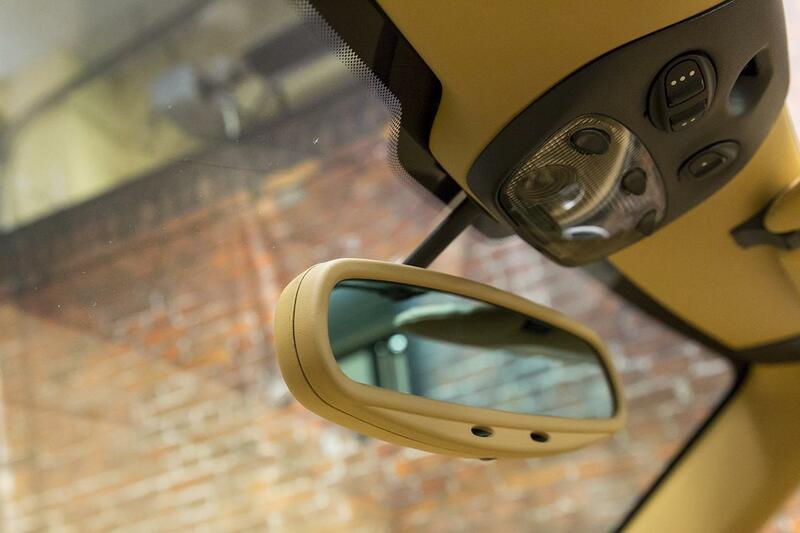 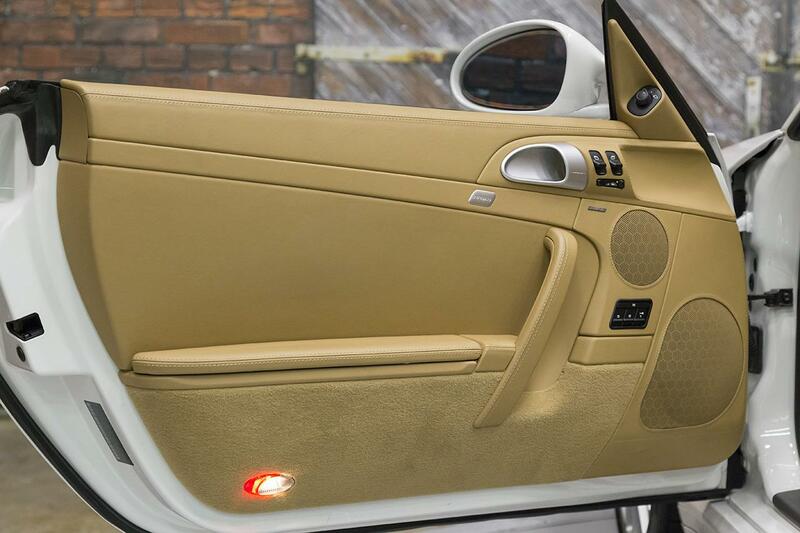 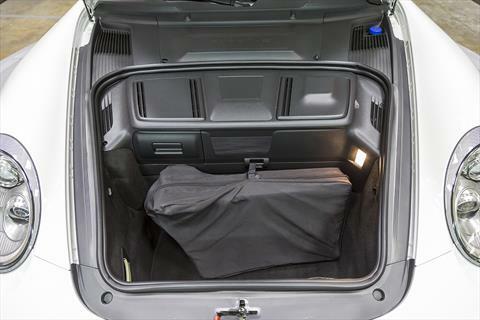 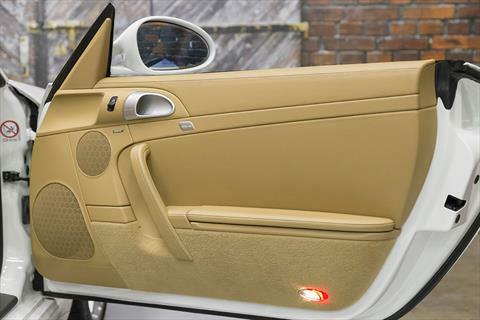 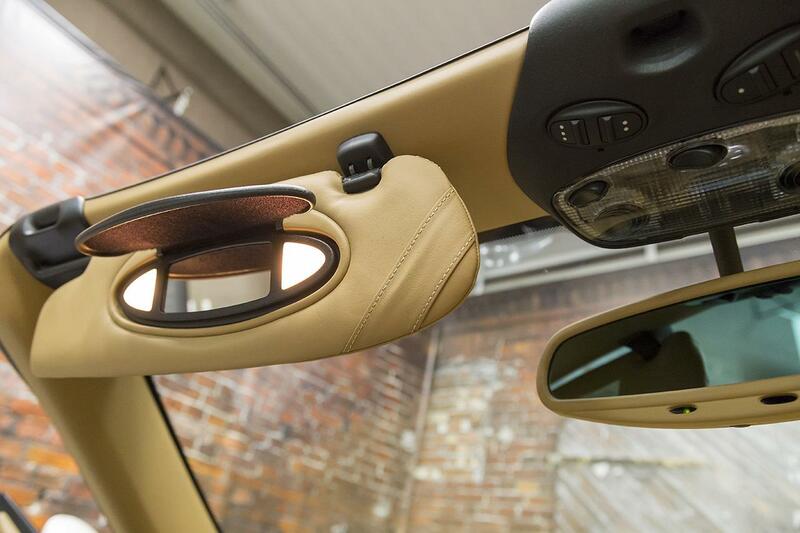 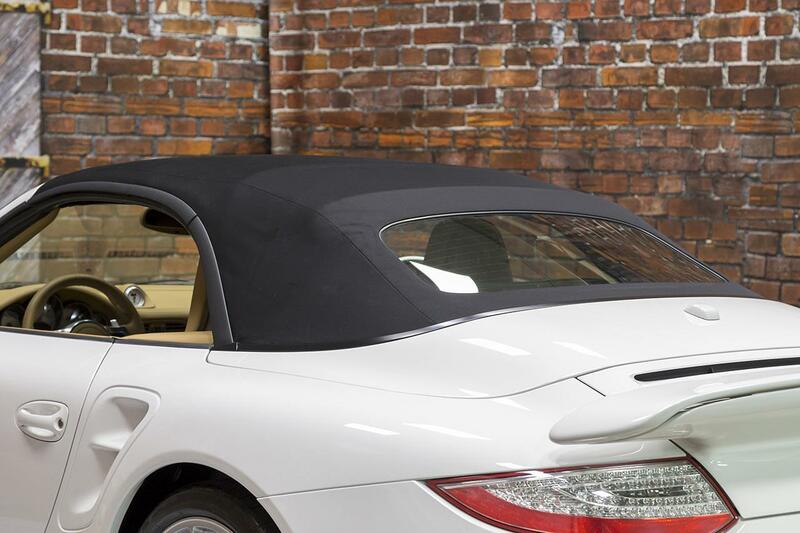 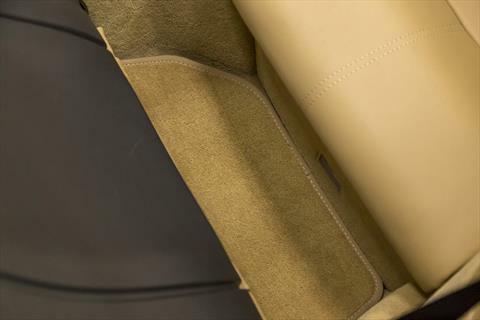 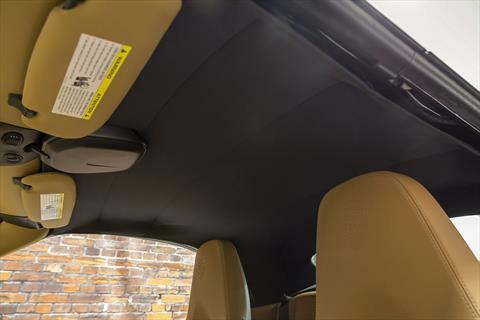 This car also features a custom installed Custom Applied Clear Bra protection. 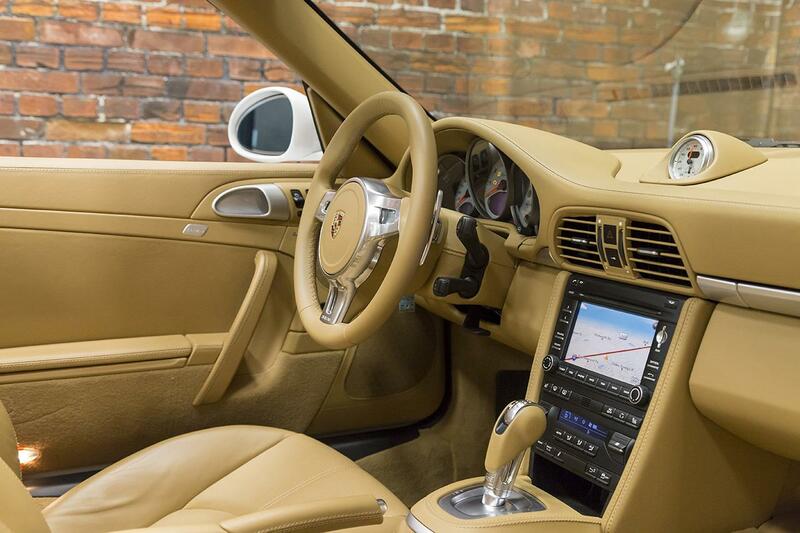 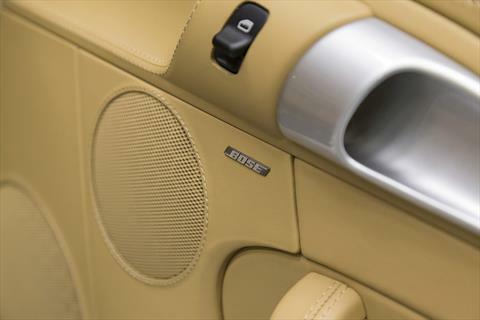 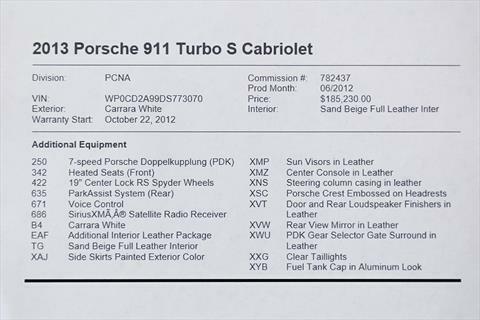 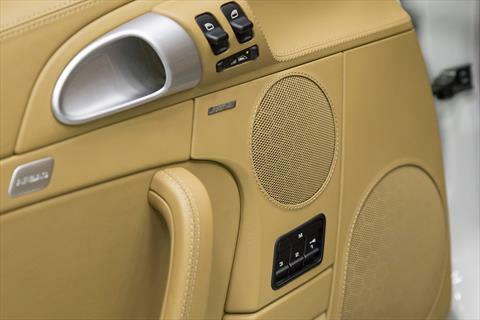 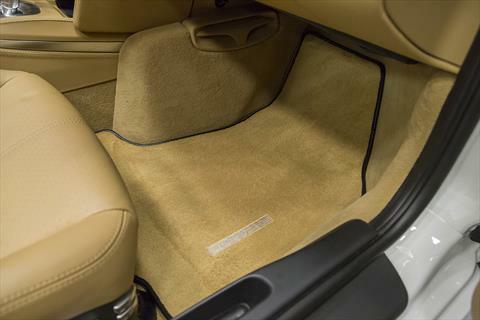 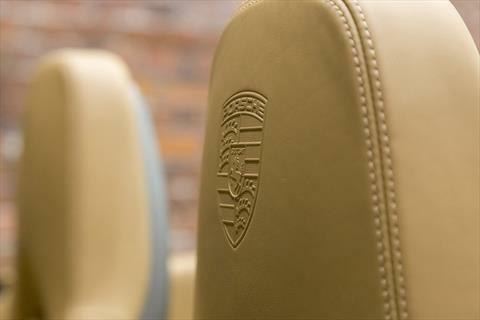 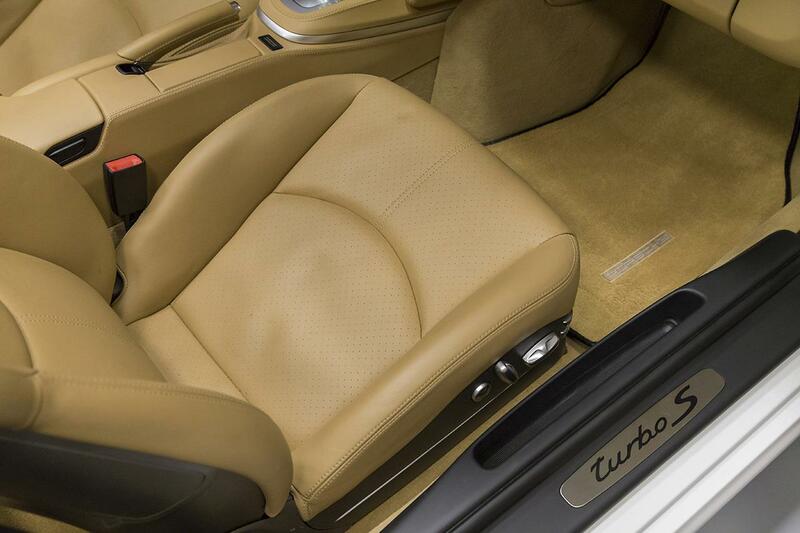 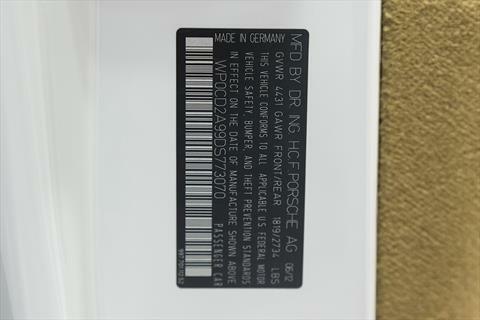 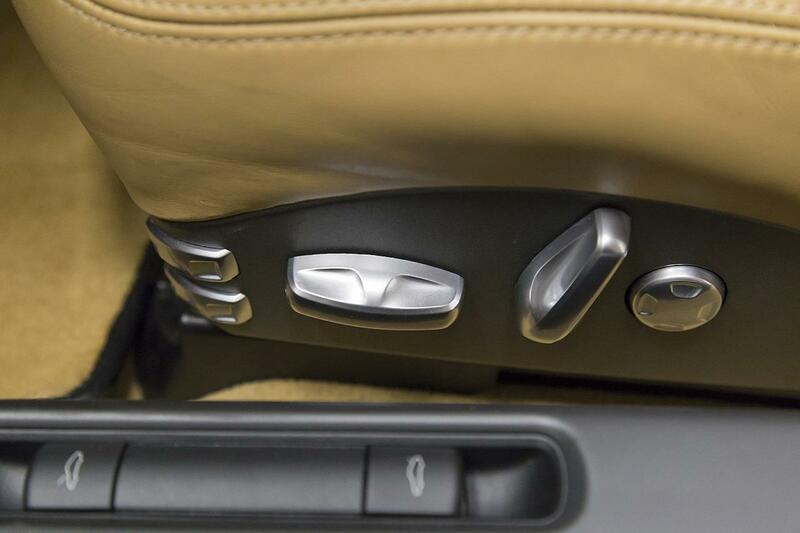 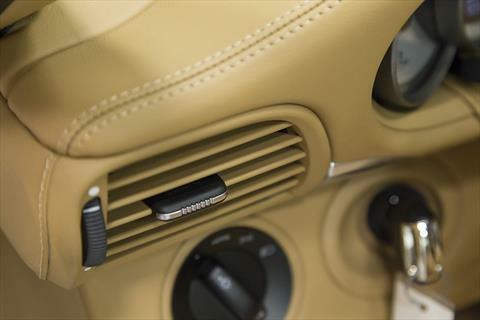 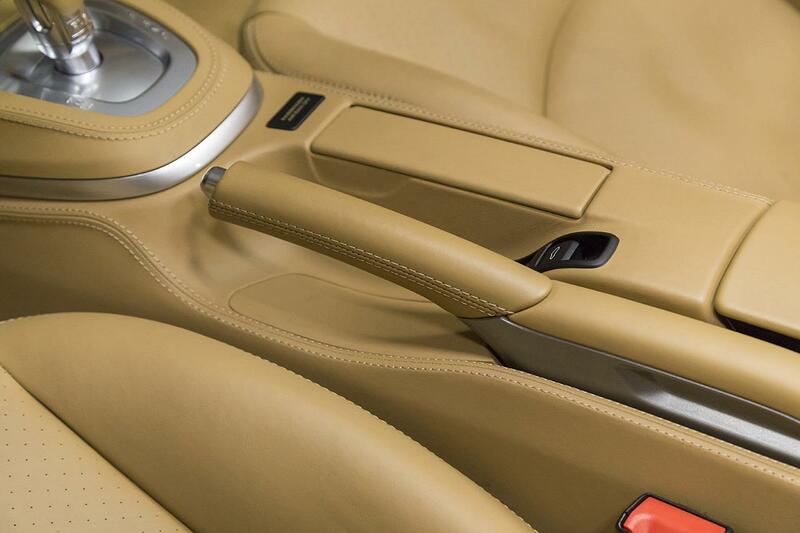 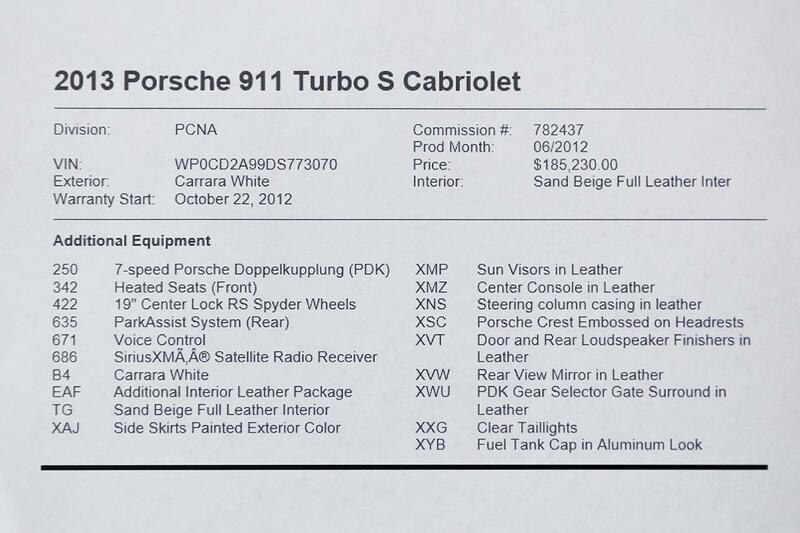 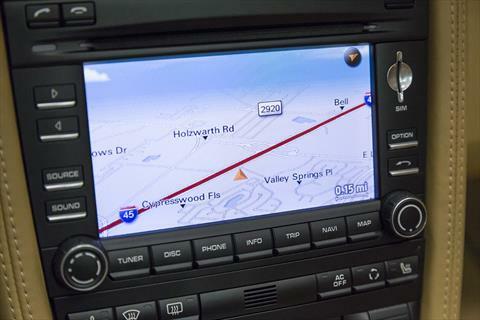 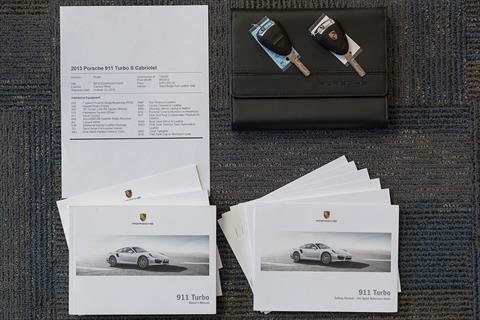 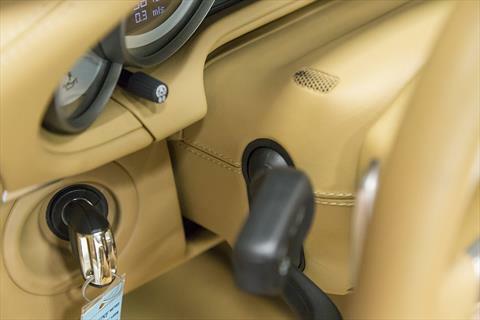 The 2013 Porsche 911 Turbo S Cab is equipped standard with several of Porsche’s available enhancements including Porsche Stability Management (PSM), Porsche Active Suspension Management (PASM), Bose audio, Navigation, Carbon Ceramic Brakes (PCCB), Adaptive Sport Seats, Dynamic Engine Mounts, Porsche Torque Vectoring (PTV), and Sport Chrono Package (also giving you launch control).